Employee engagement benchmarks are great at giving you context. For example, when you get a poor score on a particular survey question you can look at a relevant benchmark and see that your score is actually normal for most companies. The benchmark makes sure you don’t panic about the wrong things. However, they’re not so useful if you start focusing your attention on small divergences from the industry average. 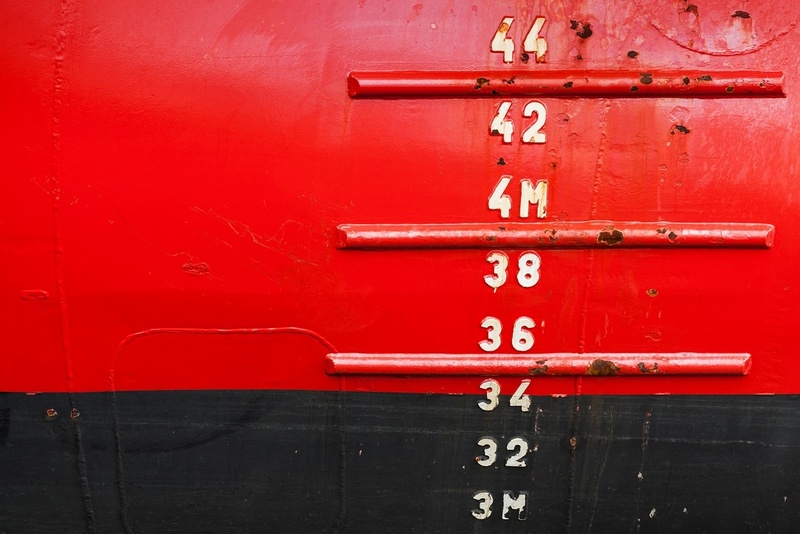 While benchmarks are important, hitting a benchmark shouldn’t be the ultimate goal. Instead, you need to push further than the benchmark to gain a competitive advantage in the areas that really matter for your business and people. Many people only want to look at industry-specific benchmarks. This is problematic as it limits the pool of data that you can access and can compromise the robustness of the benchmark. It’s often better to look at where your people are coming from and going to and benchmarking against those industries instead. For example, we recently worked with an insurance company who was fixated at the Executive and Board levels on having a very narrowly defined insurance-based benchmark. However, they were simultaneously attempting to complete a digital transformation and thus win employees from tech companies. When we asked where the last ten highly valued employees had exited to, we found via their exit feedback data that eight of the ten had not moved on to other insurance companies but to tech companies or law firms. By benchmarking against the industries people are leaving for, they can identify the right areas to improve on. When you're thinking about selecting a benchmark, it’s also important to be ambitious and think about where you want to recruit from in the future. For example, many banks are going through a digital build-up phase so they don’t need to attract people from financial institutions, they need people who work in technology. That’s who they should be benchmarking themselves against because that’s who they’re competing with in the market. A common mistake people make is fixating on trying to hit the benchmark. It’s not necessarily important to get to 72% if you’re currently on 70%, particularly if that question or factor is something that your people don’t value that much. It’s more important to look at the data and the relationships in the data so that you can focus on the things that matter to your people. Benchmarks should act as a check on your strategy, not dictate reactive and potentially distracting targets. It always makes sense to start by looking at your organizational strategy, thinking about what makes a difference to your people and letting that be your guide. If work-life balance is less important to your people than flexibility, then focusing on moving work-life balance from 62% to 65% will be a poor allocation of resources. However, if your current strategy requires a focus on building new and innovative things then your product teams should probably be scoring much better than the average benchmark in this area. Regardless of what the benchmark is, these are the areas that matter the most to your people and your company. Focusing on these areas will generally deliver substantial benefits, even if you are already currently at or above the middle point of your industry. It’s a common misconception that the larger the number of individuals in the benchmark the better. It’s actually better to look at the diversity and range of companies in your benchmark rather than the absolute number of people. Having a lot of people from very similar companies just won’t provide you with a representative sample of the variety of organizational cultures that are out there. 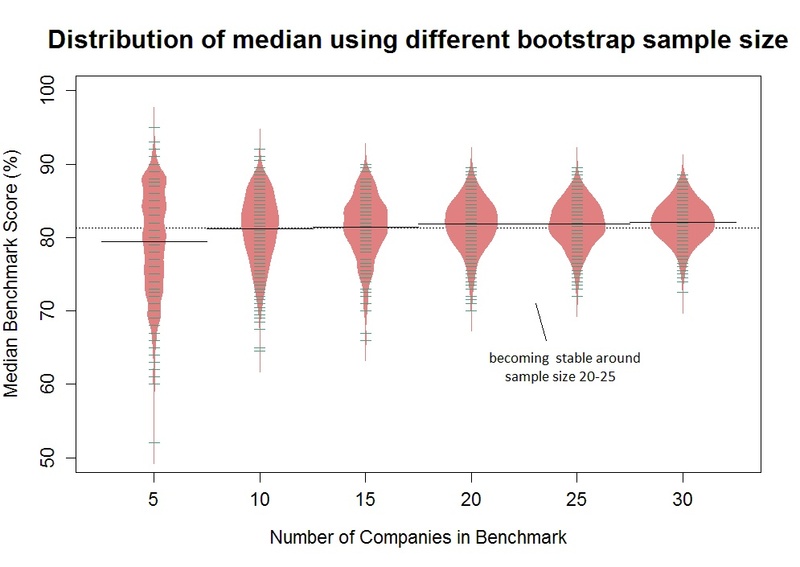 We've done some bootstrap sampling of benchmarks to test how many companies you need to have in a benchmark before it becomes stable and have found that it maxes out at about 20 companies. So once you have 20 companies, adding more doesn’t change the benchmark too much. I recommend having 20 companies and 20,000 people in a benchmark, beyond that there’s little benefit in collecting more data. Benchmarks are fantastic for giving you context to understand your own data and can stop you from jumping at shadows when you get a low score. But too often benchmarks nudge people towards aiming for the industry middle point rather than looking at what’s strategically important for their organization and people. If it’s important to your people and your strategy it’s worth shooting for the sky, regardless of how it compares to the benchmark. 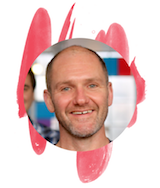 What makes Culture Amp's benchmarks unique? In the Culture Amp platform, you have access to leading industry benchmarks. Our benchmarks are unique for a few reasons. Culture Amp benchmarks reflect some of the best performing and culture focused companies in the world. Culture Amp benchmarks are current. We only use data from the previous 12 months. Industry Benchmarks: Culture Amp industry benchmarks include a minimum of 20 companies and 20,000 people. Geography Benchmarks: Culture Amp region/country benchmarks include a minimum of 50 companies and 10,000 people. Function Benchmarks: Culture Amp function benchmarks include a minimum of 50 companies and 5,000 people. We often hear about benchmarks with hundreds of thousands of people in them. But that data often turns out to be from just a handful of large companies, or even worse, from some of the same companies over a period of years. So, what’s the optimal size for a benchmark? There are two things to think about - the first is relevancy, and the second is stability. On relevancy, it’s important to remember that what you’re trying to compare yourself with is the variety of other possible cultures or workplace experiences that your people might leave you for. So a benchmark that contains millions of people is useless if those people only represent a few other companies or are not relevant to your organization. As long as the benchmark sample is relevant, the most important consideration becomes stability. We’ve run millions of bootstrap samples with our own large datasets and found that at around 20-25 companies we start to see the spread of scores stabilise (as shown below). Adding additional companies and people beyond this point doesn’t change the benchmark scores in a substantial way. This is why we recommend a minimum set of 20 companies for any benchmark (with a minimum of 20,000 people).